You think of Harrods and you think of the world’s most luxurious department store, green bags and afternoon tea. You probably won’t think of a perfume exhibition, celebrating the fragrance industry and chronicling the story from ancient times right up to the present day. 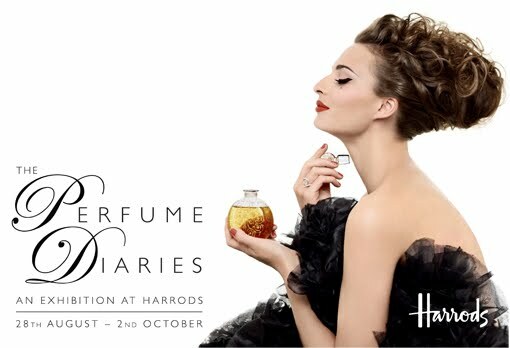 Well, that’s what is happening right now with the launch of The Perfume Diaries – a fabulous exhibition which I was privileged enough to get a sneak preview of in the week. Set amongst a modern, fresh and spacious backdrop, the new exhibition on the 4th floor of the department store is a rare treat for anyone vaguely interested in perfume, beauty or just history in general. 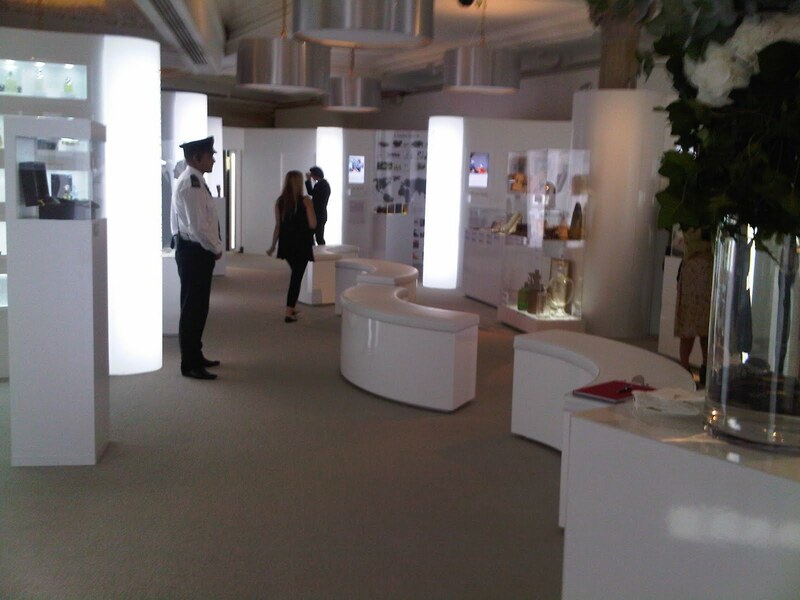 Myself and about twenty other beauty bloggers were invited to a special introduction and tour by the exhibitions curator, Roja Dove, who not only brought the story of the industry to life, but left us all wanting to take him home and continue to listen to his amazing career highlights. Roja is a rare character, sharing his passion, enthusiasm and interest with us privileged few. 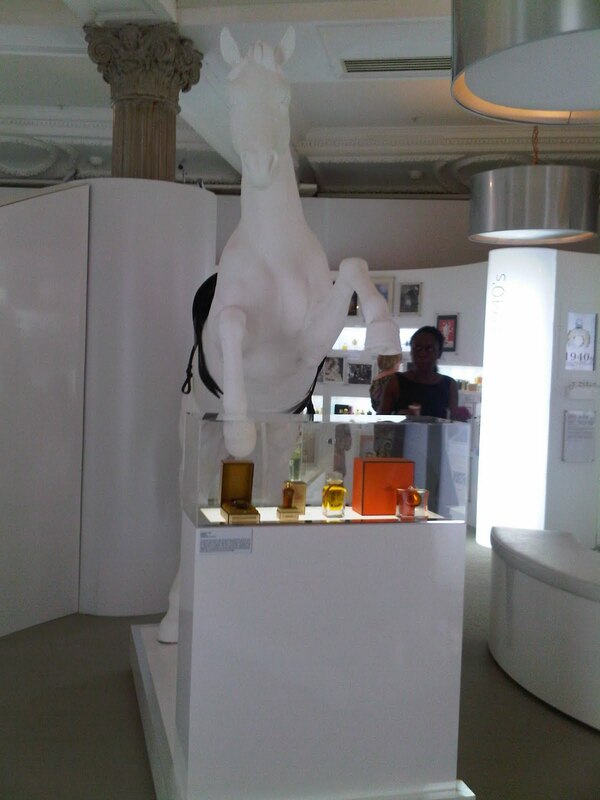 The exhibition is based on his book, The Essence of Perfume, and chronologically explains how and where the very first fragrances originated, how fragrance has evolved and reacted to trends and how it is now so embedded into our lives. 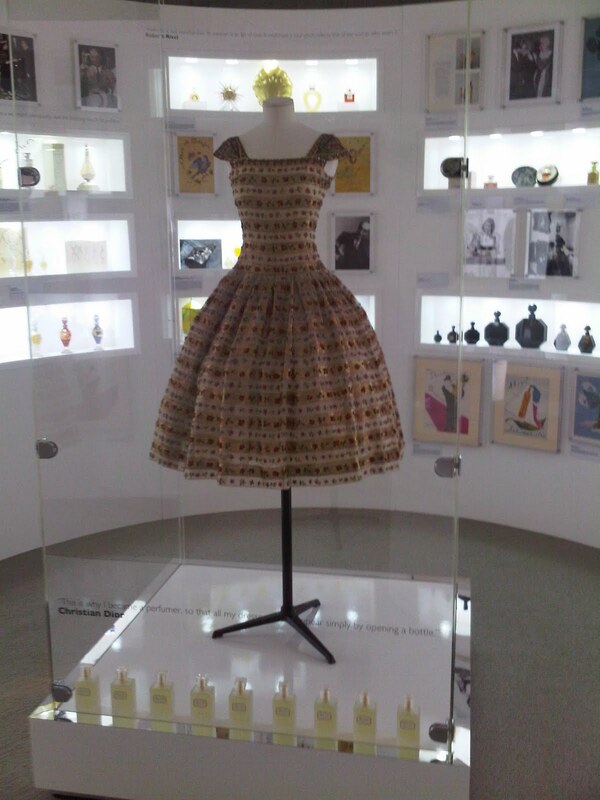 There are some amazing pieces, including the personalised bottles of Queen Victoria, Prince Albert and Napoleon, the world’s only example of Chanel’s un-released fragrances, documents from the original fragrance houses order books, development examples of bottle designs and much, much more. What makes this exhibition so unique though is not all of this, but how they’ve managed to include some amazing non-fragrance artifacts to illustrate the impact on other areas of society. 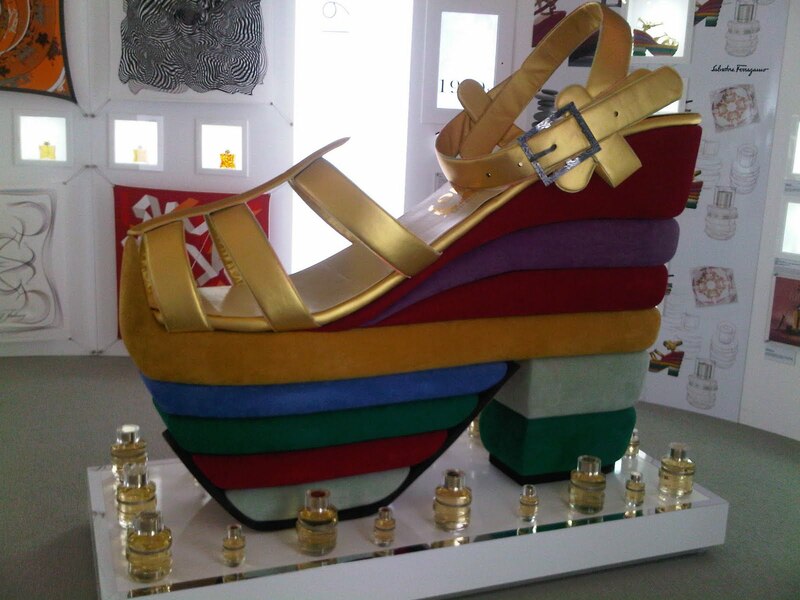 Not only is there Dior’s ‘Miss Dior’ original dress from his collection, a giant Ferragamo shoe based on the one made for Judy Garland herself (the original is there too! ), a Hermes horse and a vintage Halston dress, but even a letter from Marie Antoinette. There are so many fabulous pieces featured, really bringing the story to life. 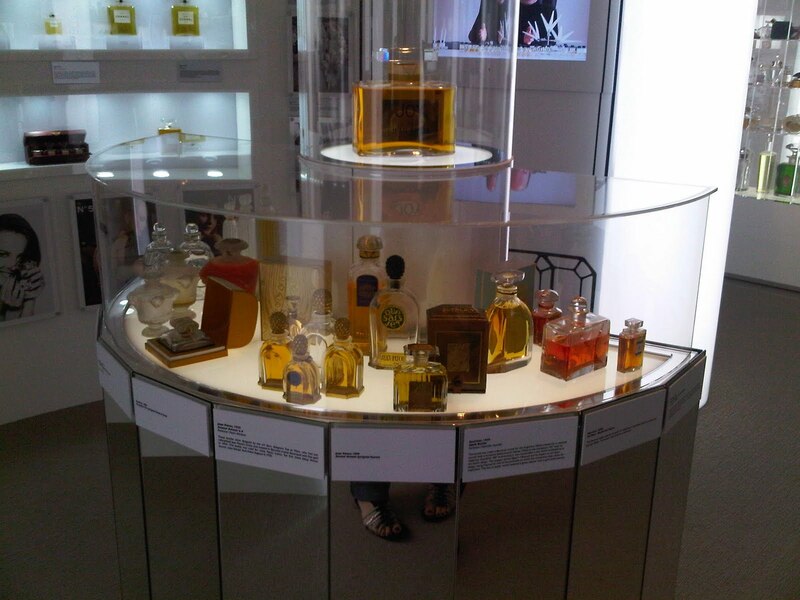 Although the history of fragrance is truly fascinating, the fun part is looking back over the last 30 years (i.e. the bits we all remember) and laughing at the scents we used to adorn. 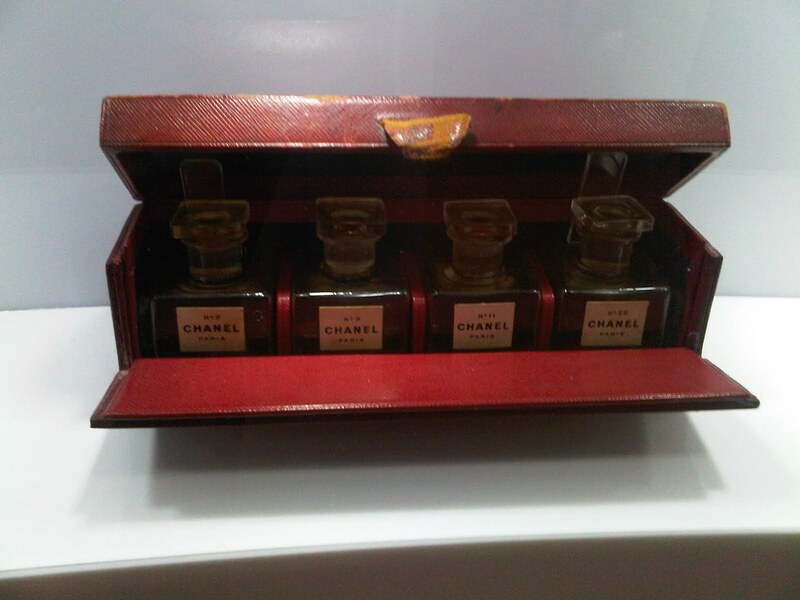 Charlie was one of my first perfumes, and yep it’s there. Remember CK One? It’s got it’s own shelf! And as for the latest trend of celebrity fragrances, it’s nostalgic to look back at how it all began with Miss Jenny From The Block herself. Rarely do you get an exhibition that mixes history, fashion, beauty, culture and economics together without being an absolute mess. The Perfume Diaries is truly slick, captivating and aspirational. You can tell how much blood, sweat and tears has gone into collating all the amazing pieces from around the world – and it really is worth it. I won’t tell you about every single one of the enthralling artifacts it contains as I would truly recommend this as an afternoon activity for all… just look at these sneaky pictures. There are some incredible events coming up in the next few weeks, including appearances by Jade Jagger, Guerlain, Roja Dove himself and an afternoon tea featuring the most delicious ‘frangrance inspired’ deserts. I’ve tried them – it’s worth taking a trip just for a mouthful of the strawberry dream with its own pipette of vanilla essence. The exhibition is only on for a limited time, so make sure you check out the details and get down there asap. I’ll be going back for seconds. I’m sure you will be too. Do you know that you can do your shopping online for your favorite perfumes in just one click of your mouse online?